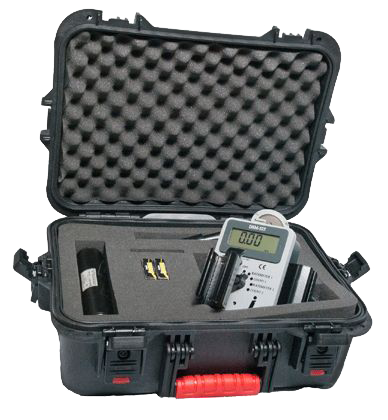 The ERK-525 Emergency Response Kit includes the DSM-525 digital survey meter (for dual probe connection), MRSP-1 Plastic Scintillation Probe, HP-265 pancake G-M probe with check source and holder. This emergency response kit is ideal for police, fire and rescue as well as scientific applications. 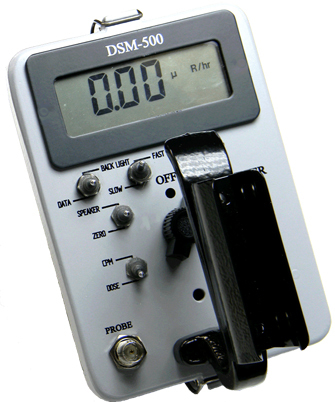 The DSM-525 is a microprocessor Scaler/Ratemeter with a large digital display and separate inputs for 2 detectors. The 525 has separate adjustable HV supplies for each detector and each detector can have different DOSE & CPM calibrations. Inputs can have different functions i.e. Ratemeter on one input and Scaler on the other input. A threshold that is variable from 0– 100 % on the input signal eliminates unwanted signals below preset amplitudes. Alarms are provided from 5 - 95% of full scale. Both probes can be connected and only require adjusting selector switch to the probe for completely automatic operation. The MRSP-1 plastic scintillation probe our newest microR Detector. The probe is tissue equivalent, and has greater accuracy and sensitivity than a sodium iodide chamber. It is sensitive to gamma radiation at the microR level between 15 keV and 2 MeV. 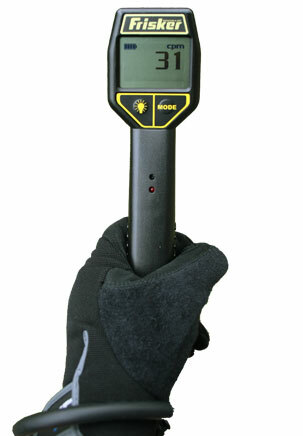 The range is 0-10,000 micro R.
The 2.5 inch pancake G-M probe is ideal for general purpose survey. This G-M probe detects alpha, beta, and gamma radiation. The HP-265 measures 14C, 32P, 35S and 137Cs with notable efficiency.